A well-crafted oriental sword gracefully flows in the hands of the skilled Chinese wielder, swiftly ending the attack to gain the upper hand. 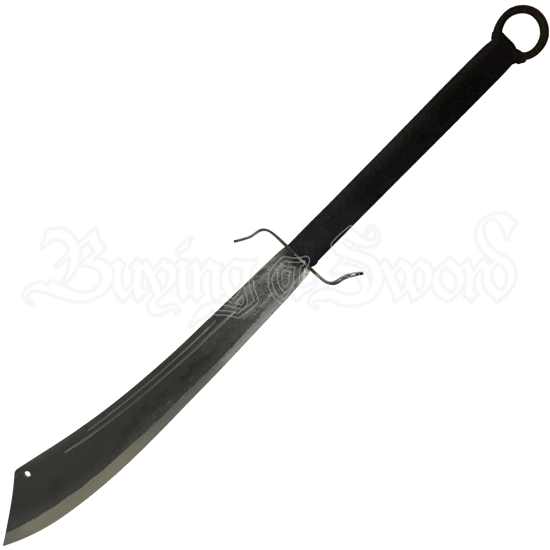 The Traditional Chinese War Sword conveys balanced power and deadly design. 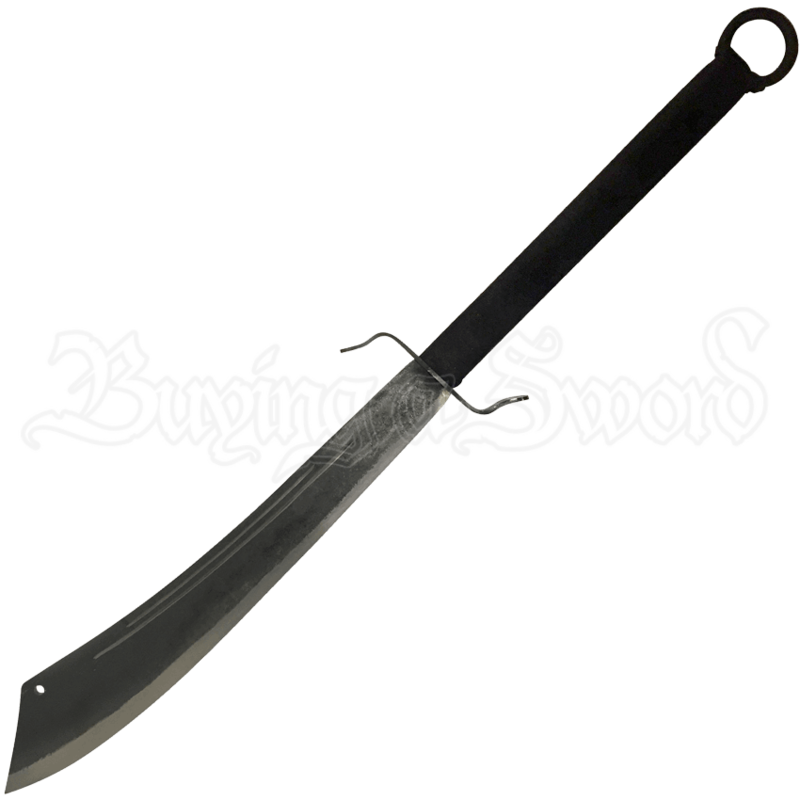 A hand-forged steel sabre sword channels the dark grace and deadly power of the Chinese warrior. The wooden handle is cord wrapped to provide a comfortable, controlled grip so that the warrior moves with careful purpose and strength. Honor the courageous spirit and focused strength of the Chinese warrior by adding this decorative broadsword to your collection. A leather sheath is included with this Asian replica sword.